After four successful editions, EPI in association with MediaXchange is delighted to announce the 2016 call for applications! Application deadline is March 10, 2016. 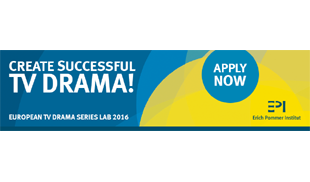 The programme is designed for scriptwriters, producers and broadcasters and explores the essential elements of successful drama series. Top industry experts from across Europe and the US share their knowledge and provide exclusive insights. The application deadline is March 10, 2016.